Need Another Pair of Hands? Extra Concurrent User Licences can be added to any plan (excluding Basic) for just £5 per licence, per month. As an existing customer, you have the ability to increase your concurrent login allowance from within Ornavi. Simply log into your account, open the Account Settings page and increase your users. And the best news is that an individual login costs just £5 per month. Not an Ornavi customer yet? Get started by signing up for the free trial here to spend time discovering all the great features of Ornavi. When your 30 day trial is up, visit the Account Settings page to pick your Ornavi plan. 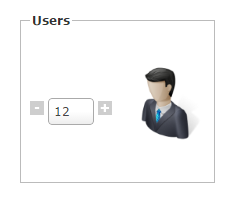 Each plan has an inclusive number of concurrent users that can be increased (see above). If you require any assistance or would like further information, get in touch via info@ornavi.com or contact your Customer Support Representative.